There’s something spectacular about the bond between a mother and her daughter. These are the emotions Campus Manager Lynn M. evokes for her daughter, Molly S.
What makes their bond extra special? They share a second family together: Enterprise. Lynn joined Enterprise in 1984 as a receptionist in St. Louis. After some time in that role, she took on a new opportunity with the Operating Group’s Administrative Office before moving to the local Car Sales team where she was the company’s first female to sell cars. After that, she worked for the Operating Group’s finance department. During this time, Lynn and her husband started a family. After taking a nine-month leave, Lynn returned to Enterprise, joining the Corporate facilities team. She’s been in her current role as Campus Manager for two St. Louis-area IT properties for 22 years. 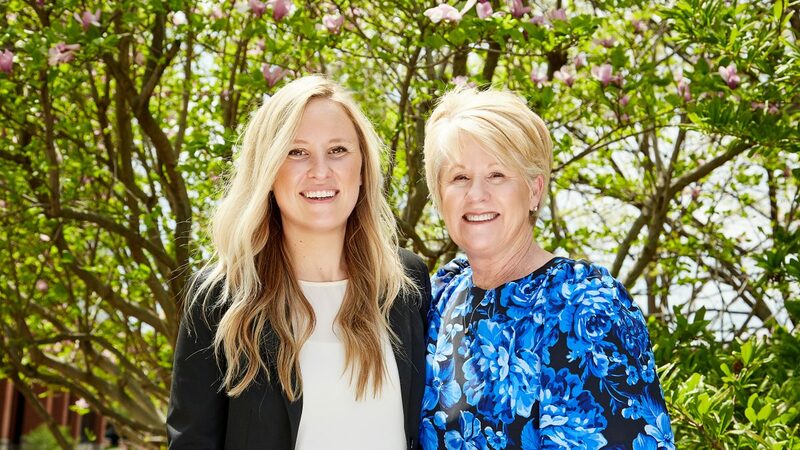 Lynn’s illustrious Enterprise career made an impact on Molly, an Accounting Supervisor for the Accounts Receivable/Collections team with Fleet Management in St. Louis. Molly began her career as a Fleet Management intern in 2013 while studying at Lindenwood University. She worked through her senior year and in 2014 was hired on full time as an Accounting Coordinator, before being promoted to an Accounts Receivable Supervisor. Earlier this May, Molly was promoted to Accounting Supervisor for the Accounts Receivable/Collections team. Lynn is elated Molly paved her own path within the company and couldn’t agree more with her perspective of the culture. In fact, many employees call Lynn “mom” because she exudes all the qualities of a caring parent. While Lynn and Molly have embraced their Enterprise work family, there’s no denying Molly is her favorite Enterprise kid. Molly frequently turns to her mom for professional advice. After 34 years with Enterprise, Lynn has sage words of wisdom to share with her daughter. Advice isn’t the only thing Lynn has given to Molly – she’s a source of inspiration, too. Happy Mother’s Day to all the hard-working moms out there!